I’m new to fishing the area and looking for some information on spinning tackle for early-season salmon. The River Don conservation policy for this year suggests that treble hooked lures eg tobies, flying C’s etc aren’t permitted, and that single hooked lures must be used. Could anyone help with a) where to buy single hooked lures or b) if it’s possible to swap the pre-fitted hooks from trebles to singles, and if so whigh single hooks to use? "Spinning is permitted at the beat’s discretion. Maximum of one treble hook (barbless) on lure. " and this is a recommendation not a legal requirement so the hook does not need to be barbless. I would have attached a copy of the 'Code' but I'm a bit of a dinosaur and don't know how to do that !! Thanks for your prompt reply and advice on hooks. I’ve taken this from the most up to date version on the ADAA website. No one I’ve spoken to has been aware of this guidance, but equally I don’t want to lose my permit on the first day for breaking the rules! ......or b) if it’s possible to swap the pre-fitted hooks from trebles to singles, and if so whigh single hooks to use? I could be wrong, but my understanding of it is that its at the beats discretion and the conservation code is purely guidance. I. E, the conservation code is against worming. The adaa have agree to continue to permit worming on the Don. As for trebles, I assumed we are still permitted to use a single treble on lures when on association waters. It's certainly not the clearest on the adaa website. They've cut and pasted the Don Conservation stuff, a lot of which is guidance but not necessarily adaa rules. Something like that would do the trick if you’re intent on changing to single hooks. Sizes could be a bit trial and error though. The Conservation Code on the ADAA website and the DDSFB webpage are still the 2018 version. Hopefully this will be a bit clearer and you should note that A) to D) are 'legal' requirements and E) to L) are 'recommendations' from the Board for Conservation of salmon to which individual fisheries can interpret or amend as necessary, although in the interests of unity most fisheries try to follow. A. The salmon fishing season will run from 11th February to 31st October. B. It is a criminal offence to retain a salmon or grilse throughout the whole of the angling season. By law any salmon or grilse that is caught must be returned to the river, whether dead or alive. C. It is illegal to sell rod caught wild salmon or sea trout, or use knotted nets, tailers or gaffs. D. It is a legal requirement that proprietors must report catches, so all anglers in turn must make a report of catches to the beat proprietor. Failure to report catches could influence the future category status of the river. E. Anglers are encouraged to practice 100% catch and release for the entire season for sea trout and finnock. 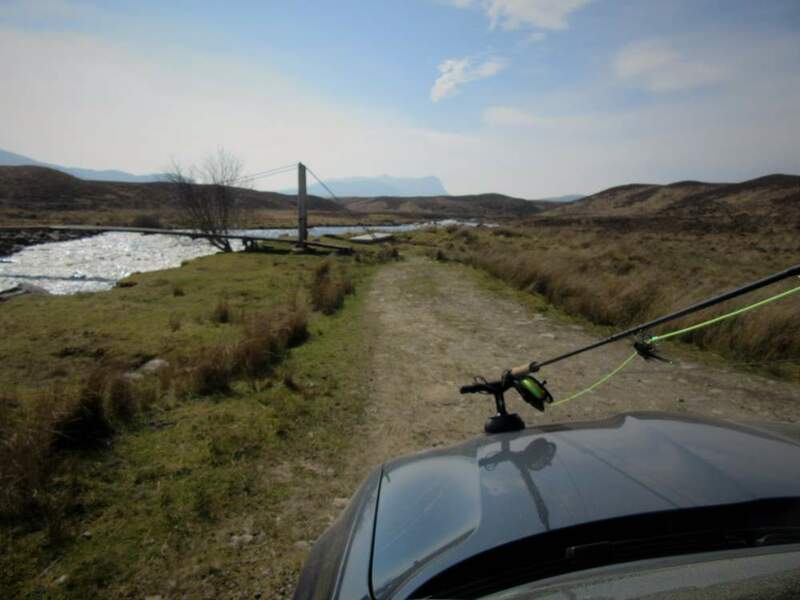 F. Anglers are encouraged to fly fish throughout the river catchment. G. It is recommended that all hooks should be barbless or crimped. H. Spinning is permitted at the beat’s discretion. Maximum of one treble hook (barbless) on lure. I. It is recommended that bait fishing, using the worm only and barbless hooks, is only permitted for junior anglers at the beat’s discretion. There should be no worming in October. J. Fish returned to the water should be handled carefully with wetted hands and held facing upstream until sufficiently recovered to swim free. Fish should remain in the water at all times. L. Any pink salmon that are caught should be retained and the River Office informed on the 24 hour number – 01467 642121.